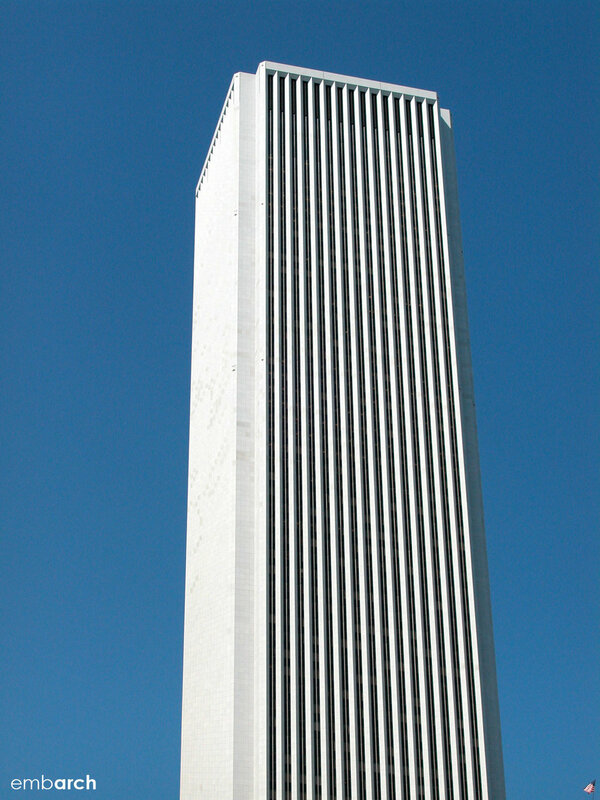 The Aon Center was known as the Standard Oil Building when it was built. As the tallest building in Chicago at that time (and now the third tallest), architects of this skyscraper boldly emphasized its verticality with full height piers. Because they are structural, the piers largely obscure the building’s glass areas. Stone cladding — originally marble but now white granite — was chosen to impart a sense of tradition and permanence. A plaza at the main entrance provides a vantage point for the public to fully view and appreciate the soaring pillars of the 83 story façade.